Good friends and good times require good wines. 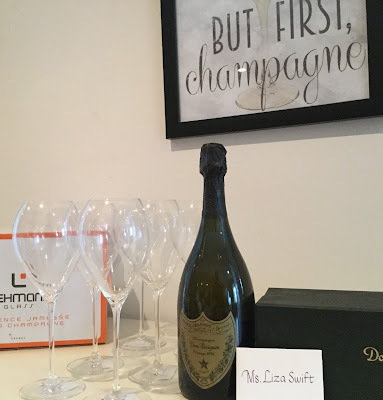 You can't go wrong selecting Corison wines to gift, to visit or to order on the wine list if you see it. When I visited to taste this fall I was blown away not just by the wine, but by the feeling of family, quality and connection that emanates from Corison Winery. 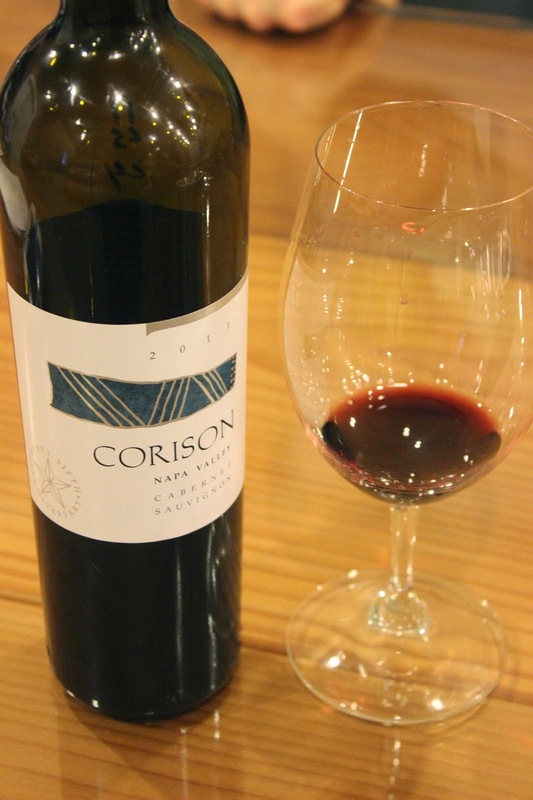 2011 Corison Winery Cabernet Sauvignon, Napa Valley ($80) Dark and pretty in the glass, the aromas had a welcoming puff of black fruit, roasted tomato, cedar and a hint of tea smoke. Well integrated flavors with a kiss of bramble and a long lively finish. It's a beautifully made wine; graceful and natural. Cathy Corison says she lets the vineyard speak and you want to hear more. Even the label is timeless with the graphics inspired by those found on ancient wine containers. There was an article on the wall with headline "Subtle..." and I thought how perfect. The wine was nuanced and well, subtle. You could taste the care. I took the opportunity to gift some good friends with this wine at our annual get together at a wonderful Dogpatch spot, Piccino, (1001 Minnesota, SF) A wine like this marks an occasion not for the scores it gets it or the awards it garners or not, but rather for the elegant companionship and taste of quality and place. Caught up in a sharknado of year end work? Did Stormageddon set your schedule back a week? Are you shopping for a regifter? Whether you are biking distance or need to go transoceanic, Napa is a great spot to visit with a friend. The act of setting aside time to make memories is something you will never sell at a garage sale. But what to do when there is just so much? Let me suggest three things I did this summer, that loosely fall into Artful Napa, Soulful Napa and Rockstar Napa. for a State of the art winery. Their vision included excellence, sustainability and sharing beautiful art with their guests. Hall Wines became one of the first wineries to achieve Gold LEEDS status, literally the gold standard for sustainability and for doing well by doing good. Part of that included saving the beautiful old stone 1881 winery. Saving the old stones with their patina of longevity dresses the space with a unique elegance. Though, for full disclosure, the barn may be haunted. A wonderful thing about Hall Wines is that they offer delicious wines at many price points. Not just the $200 perfect score 100 point Exzellenz, but affordable Napa Sauvignon Blanc. Crisply acidic, balanced and a bargain at $24. My favorite was the 2011 HALL "Eighteen Seventy-Three" Cabernet Sauvignon ($80) Our wonderful tour guide , Jeff described it as "a French school girl ditching school in her mom's perfume and her dad's old bomber jacket while learning to smoke." Violets on finish with 3% Merlot blended in. The "Sunset Cruise" is a great way to wind down your day in Napa. Art gets woven into your experience in a really cool way here. These colors on the bar wall were pulled from a summary color gamut of colors found in the estate vista. But if you are looking for the perfect gift., the Rutherford location just released an amazing opportunity that will put Santa to shame. HALL Rutherford’s Appellation Exploration is an exclusive tasting experience that includes a tour of the modern wine production facility, an overview of the art and best of all, a tasting of three ultra premium wines from special appellations. 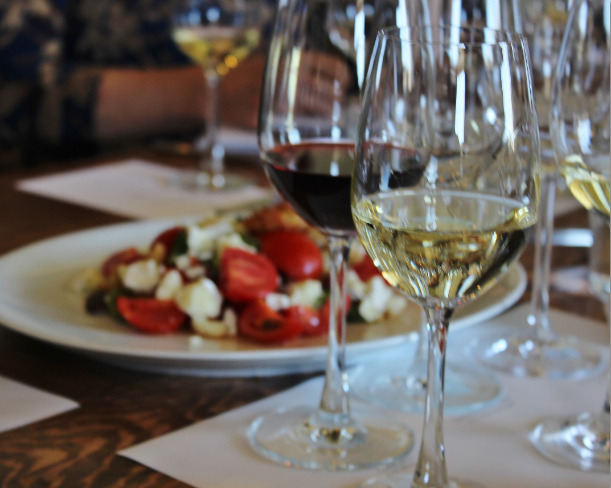 HALL Rutherford’s Appellation Exploration experience is $125pp / $100 for Club Members/GEMS. To reserve this experience, please call (707) 967-2626. This is an extremely limited offering and available by appointment only. 'Tis the season! If you are making a list and checking it twice, then scratching your head and trying to come up with something dazzling, let Santa Liza help out. Last year at our fund raising gala, one of the most hotly bid items, was what we called an "Armchair trip to Spain". We put together three bottles from three regions and packaged it as a way to get together with a few friends and learn about Spanish wine together. Turns out, the Ferrer Family was a few steps ahead of us. We leveraged a great palate, but they leveraged more than a century of wine making history to create a collection of lovely limited-release, ultra-premium wines that each showcase a Spanish region. I was lucky enough to try them early in the Fall and made a note: What a perfect gift this would make! Whether you are shopping for one oenophile who wants to peruse at her leisure or a book club full of gal pals that want to grab some tapas and run through the gamut, the wines of the Heredad Collection will surprise and delight. Best of all, this handy Locator will light your way better than Rudolf to where you can quickly and easily find what you need for your gift basket. The stated goal of the Heredad Collection is to present "wines of character with a distinct sense of place" They carefully curate all the details of this program from an enological perspective to bring the taste of Spain's top regions to the international wine drinking community. All of the wines were delicious with a distinct taste of place, unique characters and star quality. And speaking of stars, we were led through the tasting by Freixenet's International Wine Development Direct, WIll Willis, who himself bears a striking resemblance to Hugh Grant, though his real claim to fame is an impressive knowledge and enthusiasm for all things wine! Garbo, Rose, Montsant This beautiful rose has a gorgeous watermelon pink color coming from 6 hours of skin contact of the 70% Garnacha/30%Shiraz blend. Floral aromas,red fruit and the refreshing splash of river rocks make great wine. At 14.2 % alcohol, but very balanced. Garbo means "jig of delight"
Mas de Subira, Priorat 50% Garnacha Tinta with 50% Carinena All hand harvested, these low yield ---1.25 tons per acre--produce high payload flavor. Cherry and smoke seasoned by 12 months in French oak. Looking at the label, you will see 15.7 alcohol, but the wine is so well balanced, it does not taste or smell hot. Morlanda, Priorat 50% Garnacha Tinta with 50% Carinena Coming from soils that are are steep and terraced, this was my favorite with its dark pretty color. The aromas were intense and complex, cherry with notes of dark fruit and luscious flavor. Spain has 69 denominaciones de origen but these represent the best areas. Trying these wines will give you a sense of what makes each region special and what makes Spain so special. Sharing with friends and food will be a great gift for anyone on your list. Wine always makes it better, doesn't it? Many thanks to the wonderful folks at Ferrer who imbue each experience with hospitality and sabor. Thanks so much for the invitation and opportunity to learn more about your wonderful wines!